Words look more like art than writing, the language sounds almost music like, and the toilets have heated seats and electronic control panels which perform a whole variety of services. It is a faraway land clouded in mystique – a delight for the curious traveller. 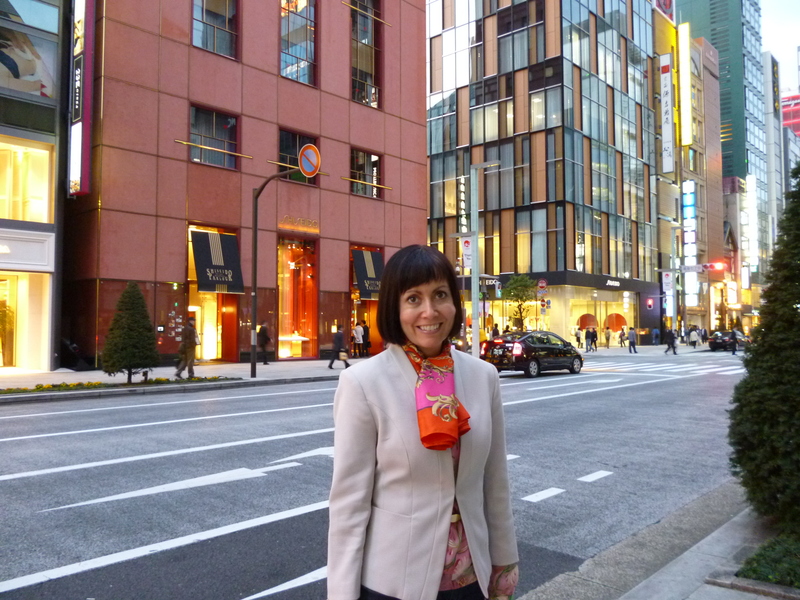 Our Japanese adventure started in Tokyo, which has the buzz you would expect of a large city. The architecture is modern (bombing in the second world war destroyed most of the city) – tall, funky, contemporary buildings create a slick environment. And as with all our trips, foodie Husband craved unique eating experiences – this time, horse meat was on the menu. It is a traditional delicacy and we enjoyed it in a traditional environment: the restaurant was 120 years old, the shoes came off, and we sat on the floor. 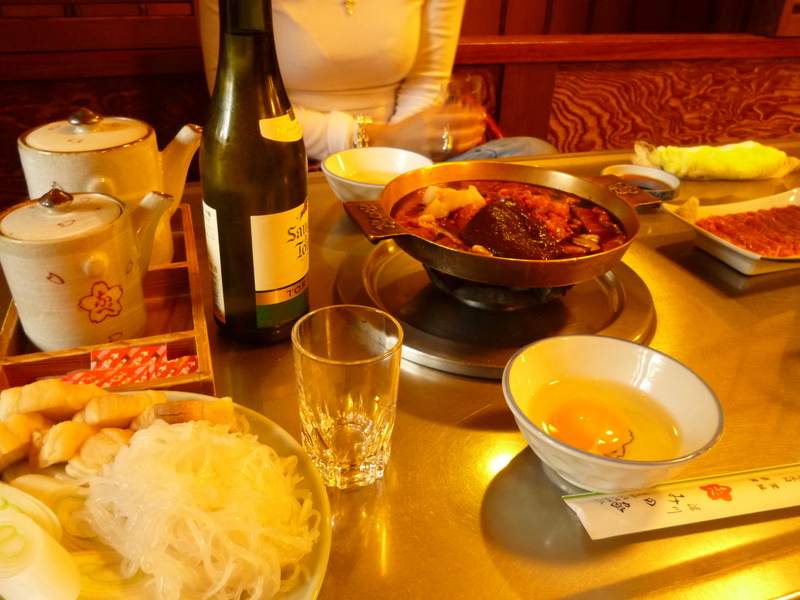 The main dish – suriyaki – is a do-it-yourself hot-pot which you make at the low table over a small gas ring – stirring in horse meat, onion, stock, miso paste, mushrooms, and yam noodles. Then you dip it into raw egg. Yes. We also had a side order of raw horse meat. And I never thought I’d say this, but raw horse meat and raw egg were delicious! We also went to see some Kabuki in Tokyo: stylised Japanese theatre, which originated in the 17th century. The costumes were in traditional Japanese style and brightly coloured, set off by dramatic make-up on faces painted white. 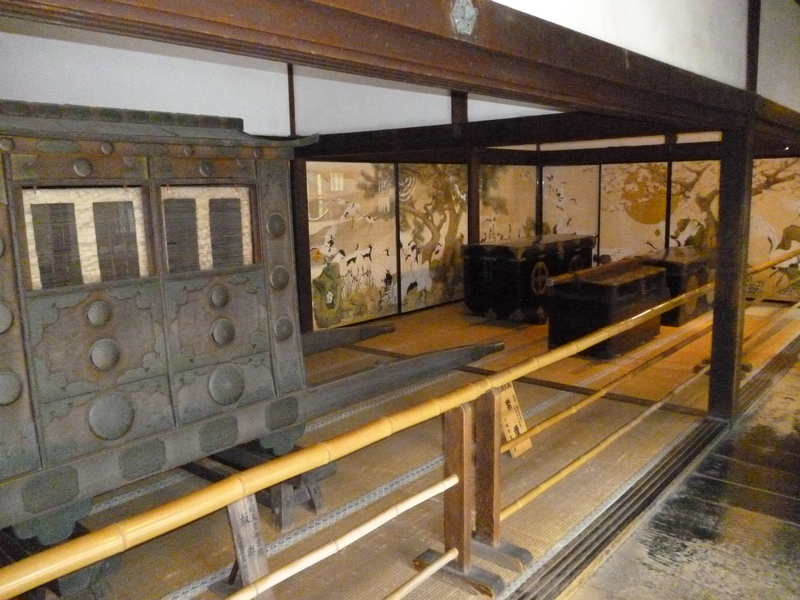 As the samurai took his own life in an act of honour, it felt like we were getting a small taste of Japanese history and culture. 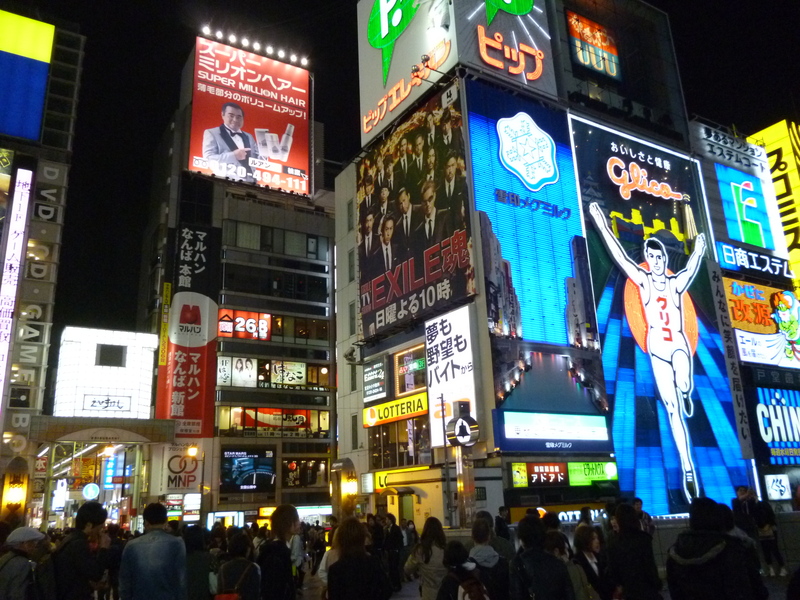 Osaka is the Vegas of Japan: modern buildings decorated with neon lights, crazily busy, and overflowing with energy and life. Your senses are spoilt for choice, scanning in every direction, scared to miss out. 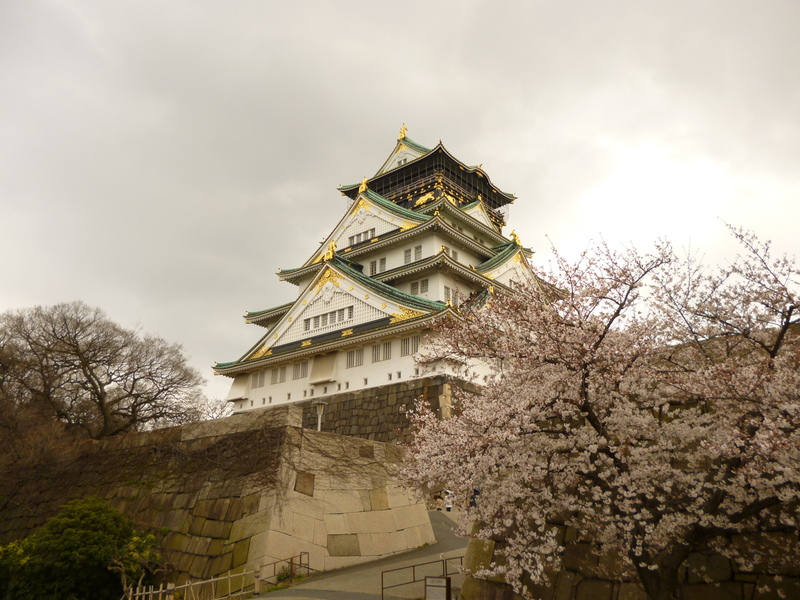 There is also a beautiful traditional castle here, high up, set among the cherry blossom. It is white and green, in the shape of a Christmas tree. Although, it is not the original castle, that was destroyed many times over by fighting war lords and then again in the second world war. But it has been rebuilt to its original 1583 standing and at night it shined brightly (a view we were lucky enough to savour from our hotel room). 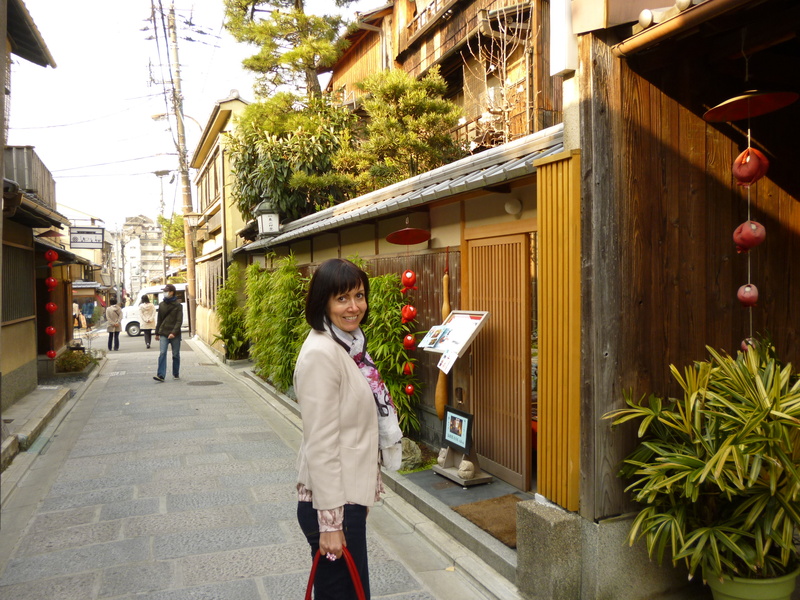 Next stop was Kyoto – land of temples, shrines and cherry blossom, a wonderful contrast to Tokyo and Osaka. 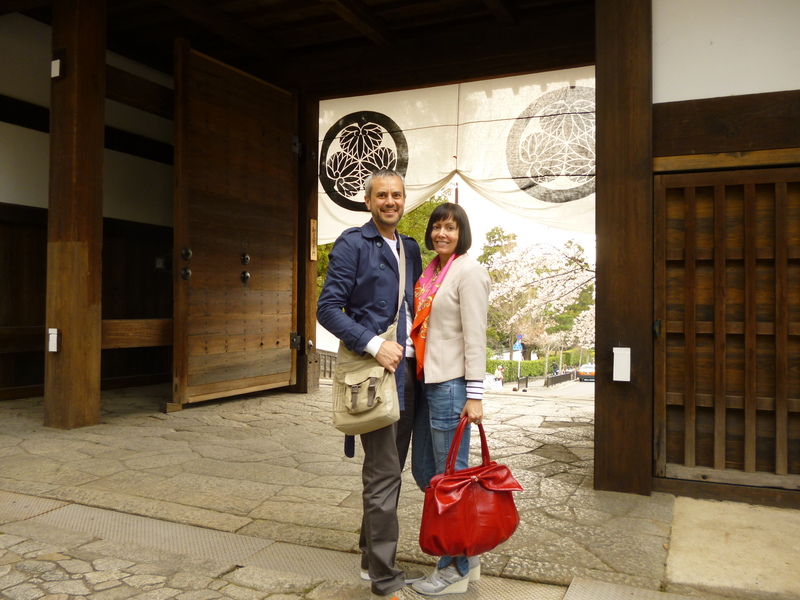 Buddhism and Shinto are the main religions in Japan and in Kyoto there are 1600 Buddhist temples and over 400 Shinto shrines; Kyoto holds a very special place in Japanese hearts and it felt a privilege to be part of this spiritual feast. 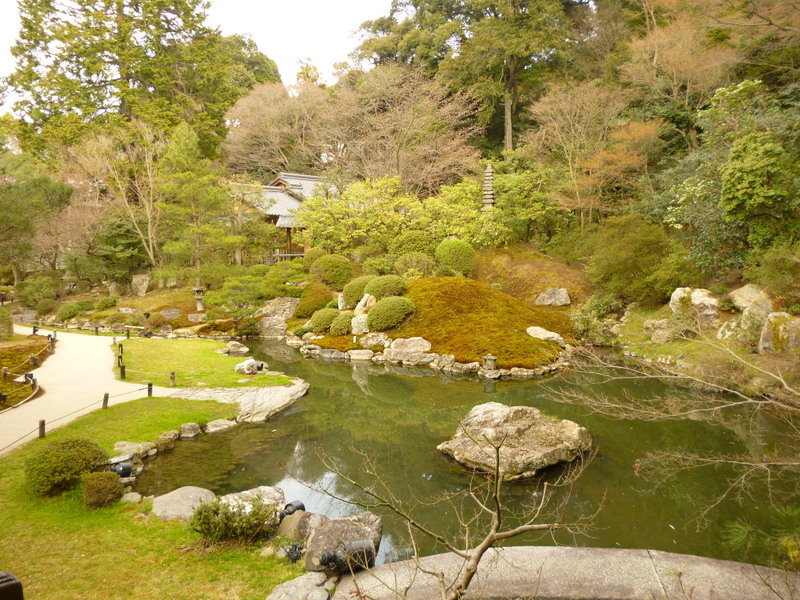 One of my favourite places was Sho-ren-in Temple, set in beautiful zen gardens. Pictures of peacocks painted on the wall, screens with traditional Japanese art in delicate colours, and gold Buddhas with cheeky faces. And the gardens radiated calmness and tranquility: lush green plants, set among stone sculptures and water features, with cherry blossom and plum trees injecting a hint of colour; time seemed to stand still as this moment of beauty embraced us. 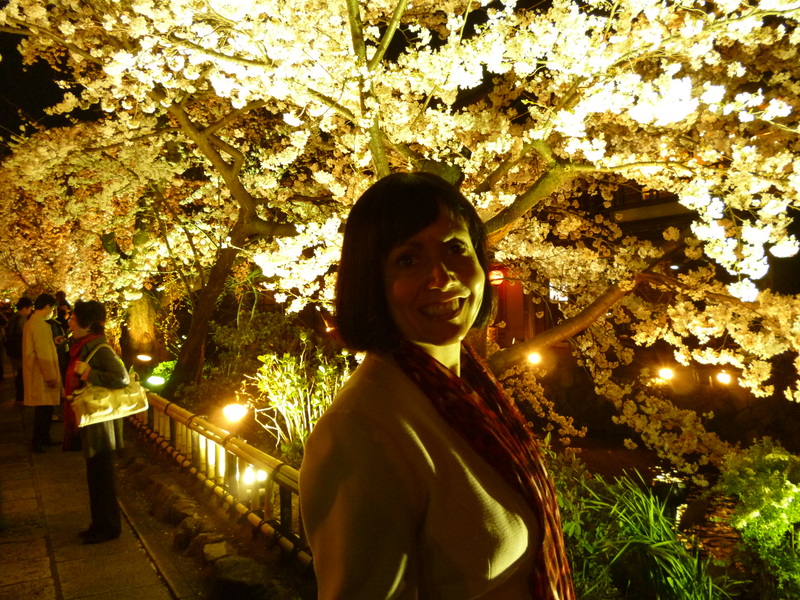 At night the streets of Kyoto were lively, food smells flowed, tempting taste buds; round red lanterns hung off the sides of buildings, and the cherry blossom glowed from the lights set behind the trees. We walked down the street where all the Geishas live (although in Kyoto they are called Maikos or Geikos) hoping to see a glimpse of this prestigious tradition, but all the sliding doors were closed and we only had our imaginations to create images with. 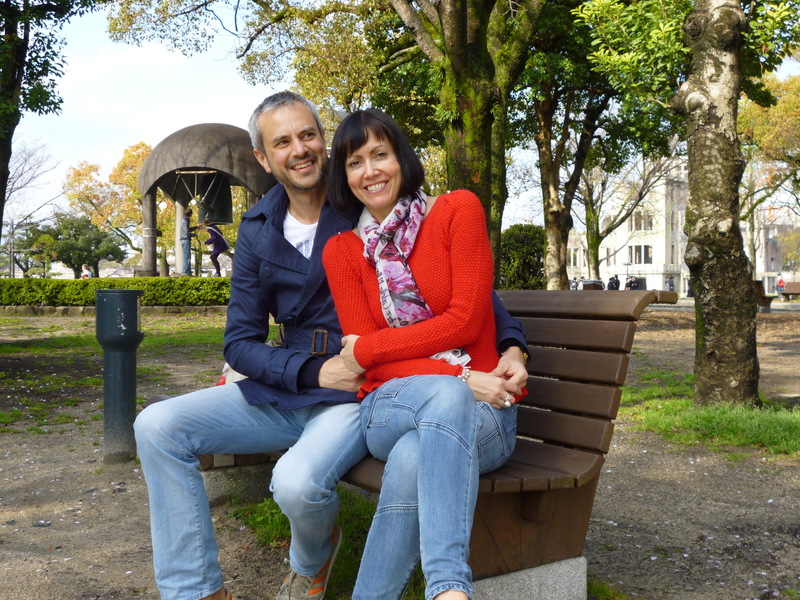 Our last stop was Hiroshima. 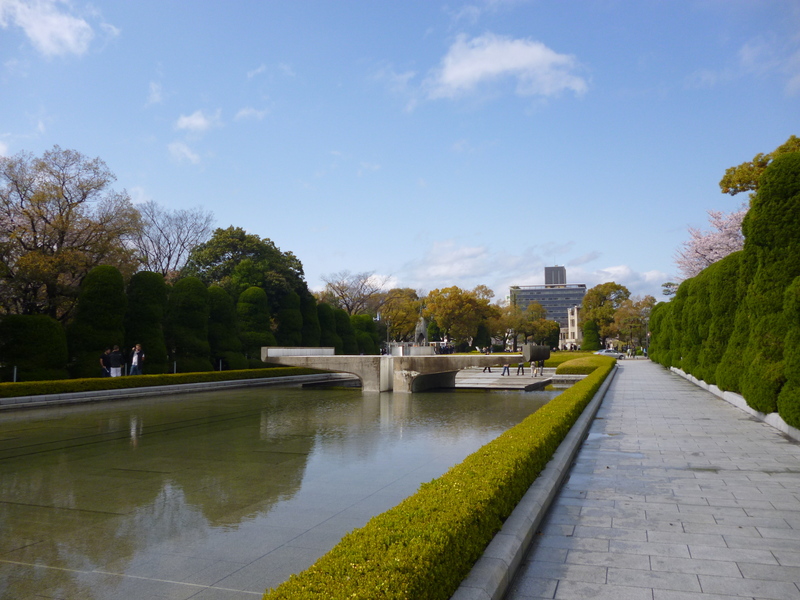 The Peace Memorial Park was built in 1954 as a memorial to all those who lost their lives to the atomic bomb. 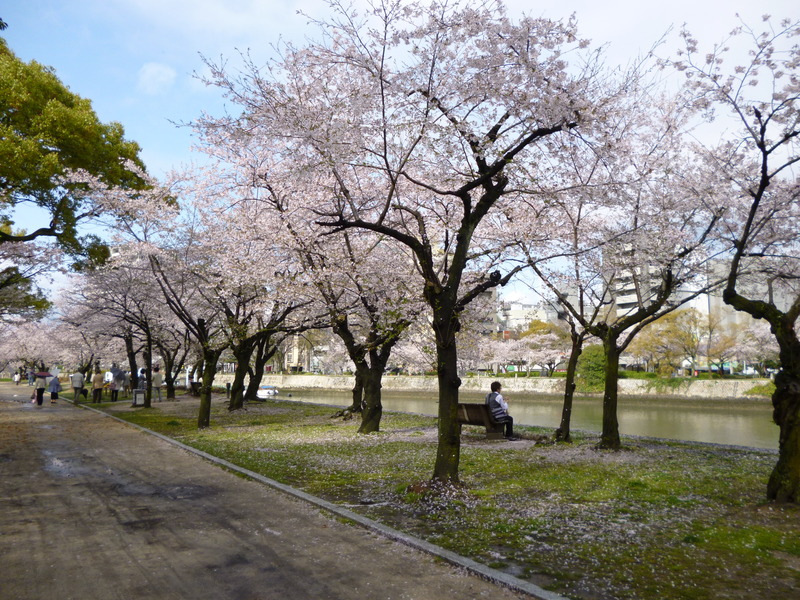 The park is a large open space, with deep green bushes, red tulips, and cherry blossom – and a series of sculptures symbolising the desire for peace. We watched as children in their school uniforms performed a ceremony in the part of the park dedicated to all the children who lost their lives. Within the park is a memorial hall and museum. Pictures of the devastation are hard to look at; the blast wiped out everything in a two km radius and it is estimated that 140,000 people lost their lives. Photographs of the victims removes the potential anonymity of this large number and makes each life lost real and significant. The individual stories of people’s heartache were difficult and painful to hear: one lady talked of watching her daughter die and having to leave her trapped in their family home as she escaped with her husband and their other daughter. It’s impossible to imagine how it would feel to go through something so horrific. 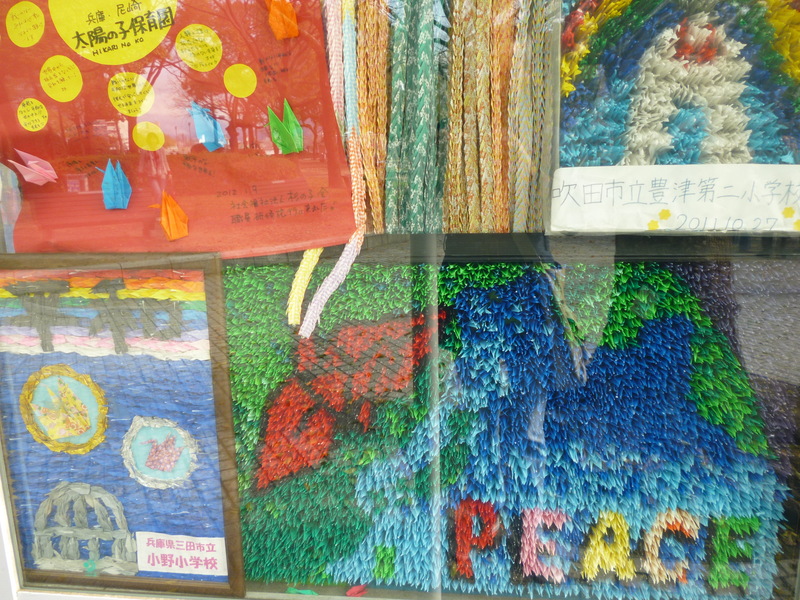 But Hiroshima is more than its atomic bomb history; it is a vibrant, colourful city, with warm, friendly people. 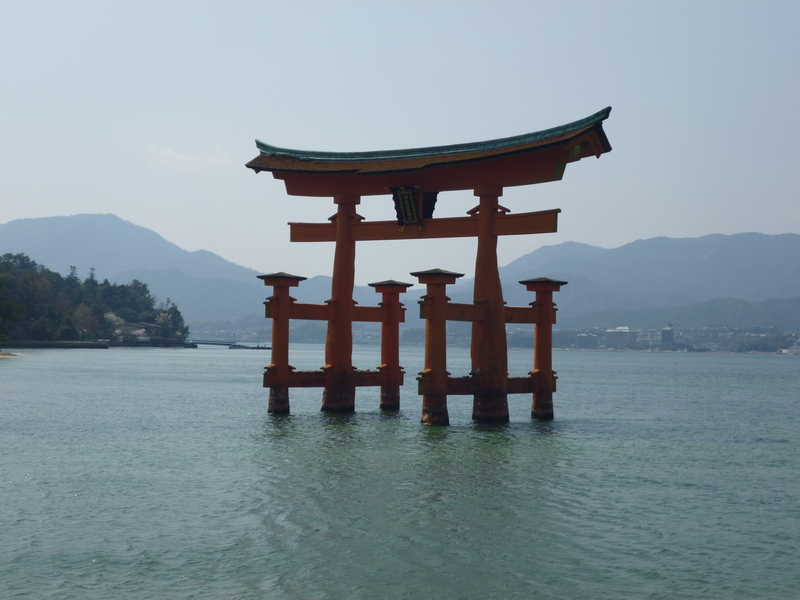 And a visit to Miyajima, an island located off the coast of Hiroshima, was the perfect tonic to the Peace Park. Historically only monks lived on the island. 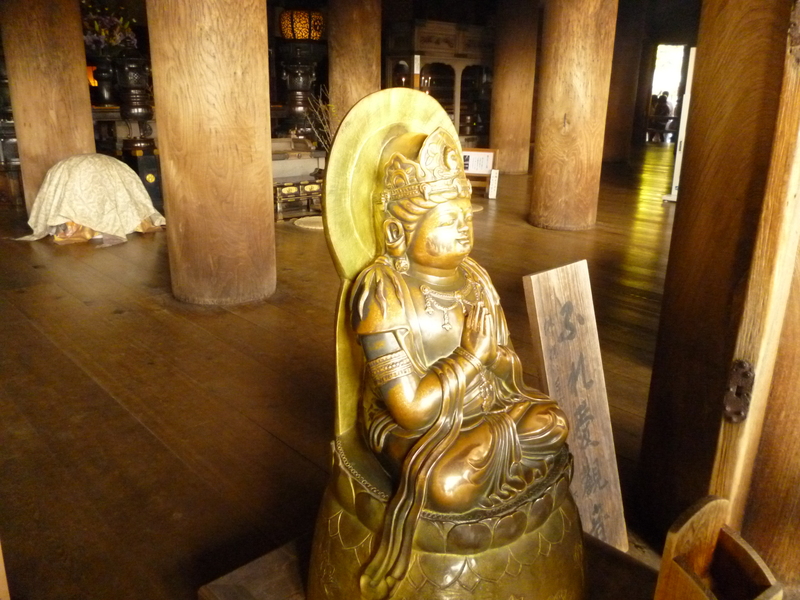 It is now open to visitors but is still considered sacred, with a floating shrine that is a UNESCO world heritage site. 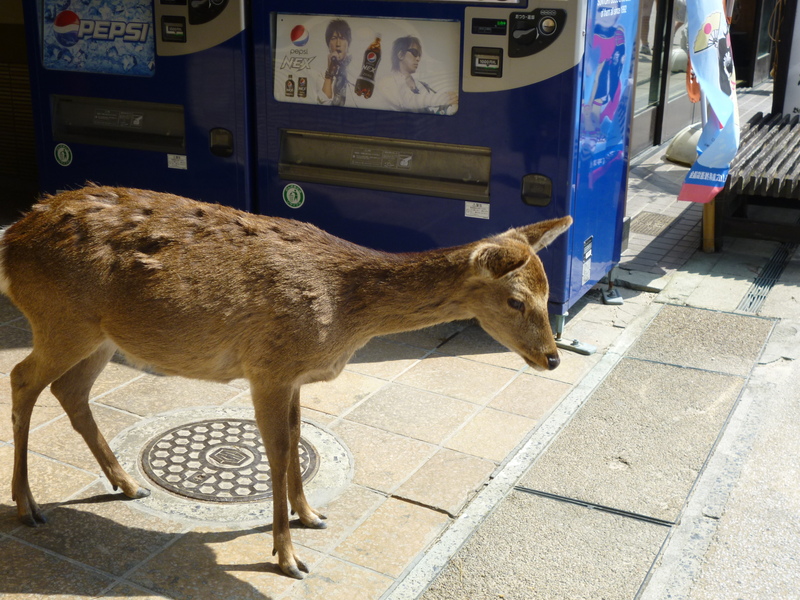 There are also deer that wander freely round the streets, which is rather lovely. 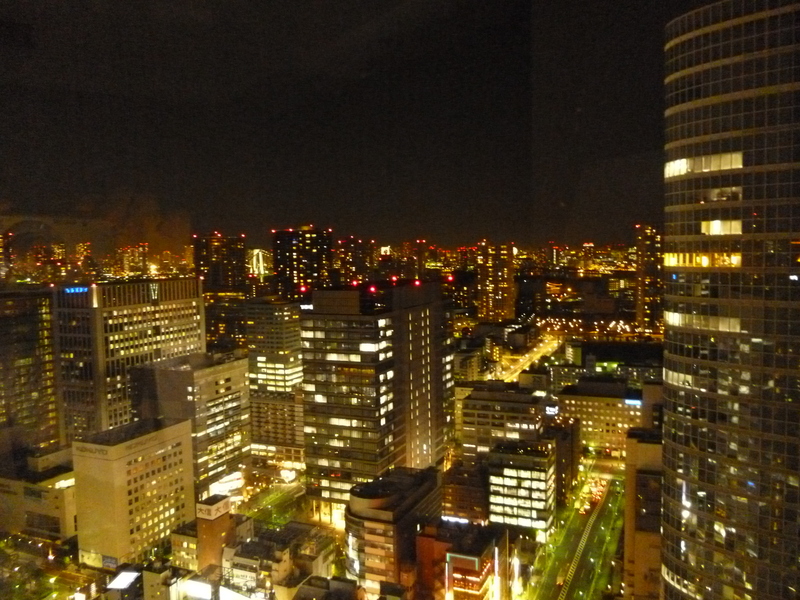 Japan has so been the medicine that my soul needed after the last couple of months. And the people, oh the people were so lovely and warm and polite; people queue to get on trains and tubes (do you hear that London?). And the service was impeccable, but not in that insincere ‘false smile’ way. 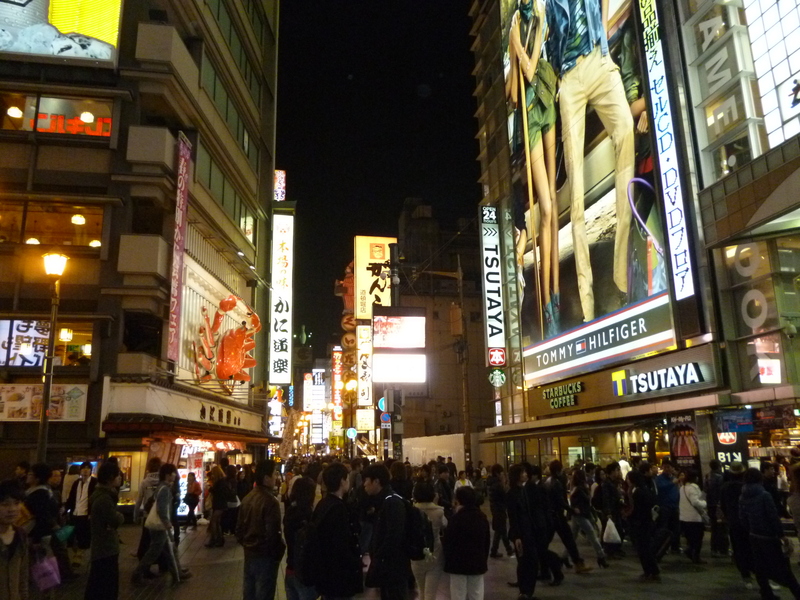 Also, on several occasions we were ‘rescued’ by people when we have clearly looked lost or unable to read the Japanese signs. Yes, Japan has been on my ‘list’ for soooo long. And it was everything I hoped it would be… and hey, raw horse meat is only a small step away from sushi! Aah… that’s lovely Sarah. Thank you. Hehe… that’s tickled me Paula. And yes it was a colourful journey, so many different and interesting experiences. This blog left me with both a tear in my eye and a smile..amazing trip and photos. That’s kinda how the trip felt – it was an amazing experience. Hope life is getting easier for you brave lady. Love the photos! Looks like a fabulous time. Glad you enjoyed it! Deer roaming the streets? How cute! Japan sounds so sophisticated by your descriptions and itinerary. Would love to go someday. I know! And they were so used to people, you could get really close to them. 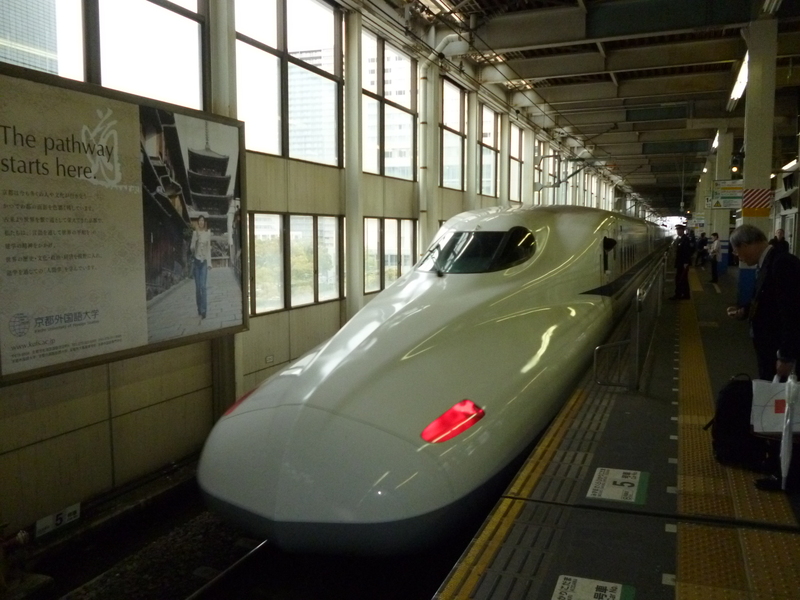 Yes, Japan has been on my list for a long time!